There are millions of dog lovers out there who believe they know all there is to know about canines and their behavior, but many of them believe in dog myths that have been debunked over the years. Do you believe in some of the old wives’ tales that are still circulating among pet owners? 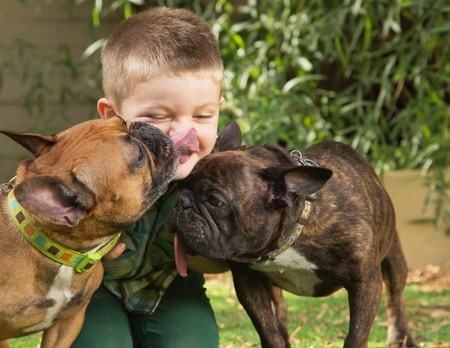 We’ve chosen the top ten most common canine myths and debunked them. 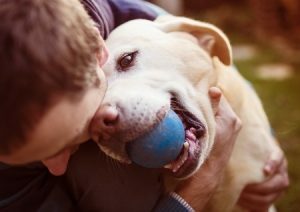 Because he is partially colorblind, your dog will appreciate a blue ball more than a bright red one. Many people don’t understand what color blind means when someone says a dog is color blind, assuming that dogs see only in black and white. But color blindness means the inability to see SOME colors, not all colors. Dogs see colors in the blue area of the spectrum well, including blues, purples and greens. They also see some shades of yellow. What they don’t see are shades of red and warmer colors like orange and brighter shades of yellow, which they probably see as shades of gray, making them partially colorblind. Some dog toy manufacturers make toys in shades of red, which appeals to the owners rather than the dogs. If you want your dog to fetch a ball that he can easily see, look for one in bright blue or green! It’s easy to see how this canine myth got started. Dogs don’t live as long as people, and if you divide a typical human’s life span by seven, the answer is roughly equal to a dog’s life span. But the typical life span of a dog varies widely depending upon the breed, the size and a host of other factors. Most dogs are the equivalent of teens by the age of one. Their growth slows for several years, but picks up speed again as they reach the end of their live. Pedigree has an online dog age calculator that takes your dog’s breed into consideration and gives you a good idea of your dog’s approximate human age equivalent. This isn’t entirely false. Dogs certainly do wag their tales when they are happy, but they may do it for other reasons as well. It sometimes indicates that a dog is nervous, fearful or is tensing up. In some cases, tail wagging can even be a precursor to aggression if a dog feels cornered or threatened. In these cases, while a canine is wagging her tail, she may be wagging it slower or more erratically rather than in the joyful, fast-paced wag of a happy dog. Check the animal’s other cues and body language before assuming she’s wagging her tail because she’s happy to see you, particularly if you aren’t familiar with the dog and her personality. A dry nose isn’t always a reason to worry. Check other indicators of health as well. 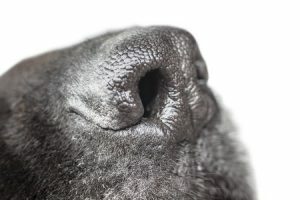 You’ve probably heard someone say, “If a dog’s nose is cool and wet, he’s healthy.” This isn’t always the case; the converse isn’t always accurate, either. A nose that is occasionally dry isn’t anything to be alarmed about unless it is accompanied by other signs of illness. If your dog’s nose is draining or is runny rather than just damp, consult with your veterinarian. People continue to think that punishing a puppy for having an accident in the house is a good way to “teach him a lesson,” or “teach him who is in charge.” Neither of these methods are successful. Instead, your dog may become fearful or anxious. Using rewards and praise is far more successful. Also key to success when training a dog? Consistency and letting the dog clearly know what you want him to do. Your dog probably does understand some words that you say to him regularly, but he doesn’t understand every word you say. She also probably can’t interpret the meaning of full sentences or follow a conversation. Typically, dogs can understand a few hundred words. They are usually reading your voice inflection and body language more than anything. If she tilts her head to one side when you’re talking to her, it’s a sign that she’s confused, not that she’s drinking in your wisdom. This is the excuse many dog owners give for not continuing with training as their dog ages. Unfortunately, as dogs age they often lose some of their hearing and their eyesight diminishes. 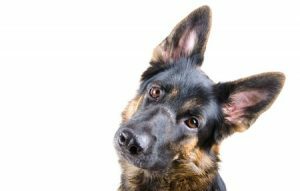 If a dog has difficulty hearing or seeing what is wanted from them, the owner may mistake their dog’s confusion for a lack willingness to learn. Pain can also be a factor. Repeatedly fetching a ball with arthritic joints isn’t anybody’s idea of fun. Adjust your training to your dog’s limitations as he ages and you’ll be able to train him successfully all his life. So many pet owners say this, thinking it will be healthier for their fur baby, but it isn’t. There is no evidence supporting any health benefits, and many veterinarians will tell you that spaying at a young age can help prevent a range of illnesses, including breast or mammary cancer. Having one litter of pups doesn’t help your dog, and it usually leads to one or more dogs being left in shelters where they may wind up euthanized. Dogs don’t understand the concept of being macho or manly. They don’t have an ego that will be bruised after neutering. However, if you don’t get your dog neutered, he will be more likely to start marking your house and everything else with urine when he is around two years old. His basic personality will be just as protective whether he is neutered or not. If a dog is not neutered, he is more likely to develop prostatitis or prostate cancer. The best way to learn more about your dog and get information that is accurate and reliable is to find a veterinarian you trust and discuss any concerns you have with them. Yearly physicals or “well checks” are essential as well, so that your pet’s veterinarian can catch any potential health concerns in the early stages. I was surprised by how many people I know who will smack their dog or scold him if he has an accident in the house. I’m trying to educate them about the futility of that approach (and how unkind it is). I have to comment on #6 as well. Punishment is of course ALWAYS wrong, But stopping unwanted behavior – with a sound, body language, a light touch etc. – is never wrong. In my opinion, correcting bad behavior AND using positive reinforcement is the way to go! Oh wow! Thanks for letting me know, John! I’ll correct that in the next one. Have a great day!